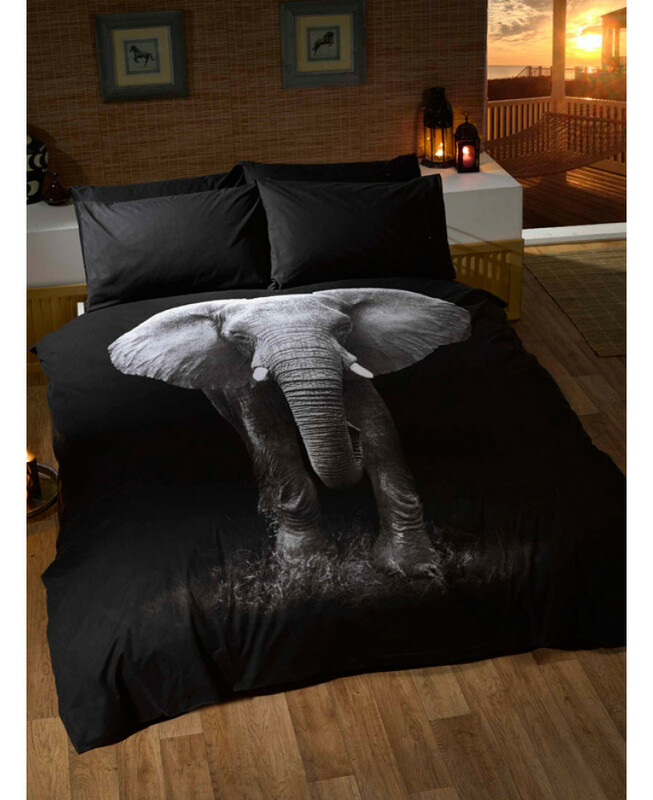 This eye-catching photographic print Elephant single duvet cover set features a stunning image of an African elephant in brilliant detail on a black background. Created using the very latest in print technology, the delightful design has been carefully printed onto superb, easy care fabric. This bedding set is suitable for machine washing and tumble drying.